I clicked on the continue button to get 2X ENTRIES for PCHPlay&win and PCHsearch&win. 1,000 Cash Prizes Up For Grabs! I’m claiming 2X ENTRIES From PCHPlay&win and 2X ENTRIES From PCHsearch&win. I clicked on the continue button by the 11:59 PM, ET deadline to go for $50.00.00…$100.00…$500.00…even $10,000.00 in just days! Yes I want to win the upgrade $8,000.00 A Week For Life! Then enter me in to win $1,000.00 A Day For Life on December 21st. Thanks again PCH and Prize Partrol. God Bless. Happy Holidays!Yes I want to win! WIN $8,000.00 A WEEK For life from PCH. Love to win. Thank you. For some reason after I send a message it erase. I love to win.I want to win PCH . Yes I want to win the upgrade $8,000.00 A Week For Life on December 21st. Thanks again PCH and Prize Partrol. God Bless. Happy Holidays! 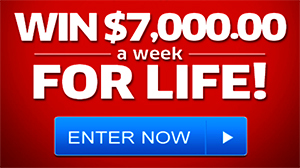 Win $7,000,00 A Week for life. Yes I would love to win $1,000 a week for life it would be a dream come true for me and my family. I like Publishers more if I win all can see; They can bless with money in the land of the free! So I remain positive, as America is in liberty; By God’s Grace I can help others love clearly! PCHsearch&win please accept my VIP ELITE 2X entries to win $1,000.00 guaranteed prize plus win $100,000.00 VIP CASH PRIZE. hey pch im getting writters cramo i need to win. Yes I want to win, so my husband and can get a house. We live in an RV and would love to gave a home, and then help our children and Grandkids. I want to win $1,000.00 a day for life from PCH Gwy. No. 11000. Yes I am very interested in winning the Publishers Clearing House Sweepstakes the 2500 a week forever has been upgraded to $5,000 a week forever I hope to be the winner of this prize! I would like to win $1,000.00 from PCH Gwy. #10079. I would like to win $1,000.00 a day for life. Also, to meet Danielle, Dave & Todd in person. I love to see all 3 of you in person and present me a big check of $1,000.00 a day for life. Can you help me for reach and make a reality my PCHGWY No.11000 lifetime prize $.1 K. a day for life for stell up the grabs PCH reward? 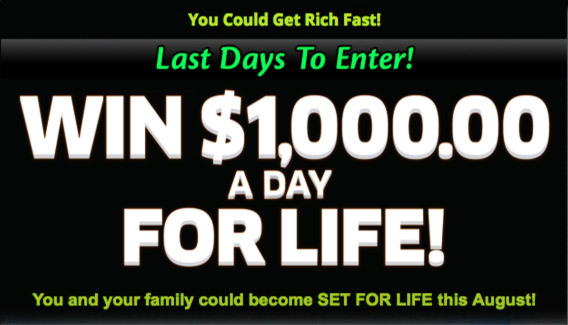 I would love to win the$1,000.00 a day for life. It sure will enable me to make all my dreams come true. After 28 years it would be just wonderful to WIN A $1,000.00 A DAY FOR LIFE. Keeping fingers crossed that my WISH will come at last. 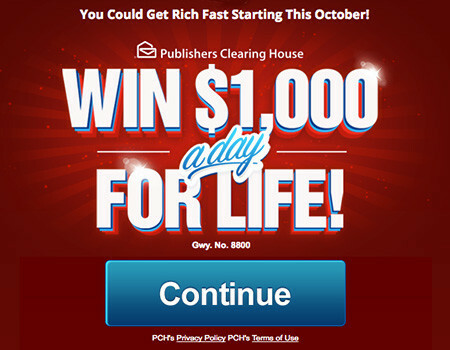 PCH Frontpage … I want to win $ 1, OOO.OO A Day For Life prize still in play at (PCH Gwy. No. 11OOO). Please activate my entry. I want to win this super prize and see my bank account grow. Thanks. PCH I want to claim ownership and active Transfer Prize Funds entries to win $1,000.00 a day for life GWY #11000, at GWY END 9/2/18. I want to win the Transfer Prize Funds. $1,000.00 A DAY FOR LIFE. I’M ACTING FAST BEFORE IT’S TOO LATE. I’m searching by today’s 11:59 PM, ET deadline. I want to win $1,000.00 A Day For Life from this Notice. 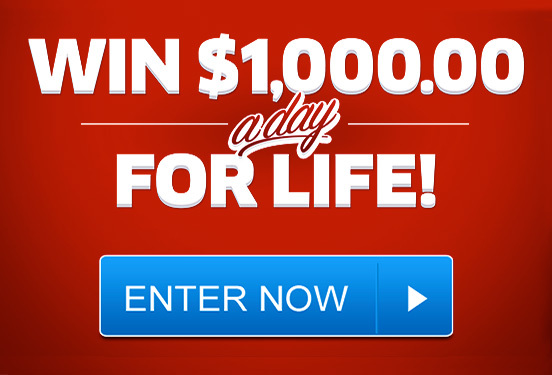 I would love to win the $1,000.00 a day for life. PCH I Am Praying For This Day. Yes I Love To Win The Big Prize. Please Make Me Your Winner. Please, activate my entrance to win $1,000.00 a day for life. i’m looking forward to be the next winner of the $1,000.00 a day for life. It will enable me to do a lot of good for others than myself & family. Would be nice if i could have really won ! Everyrhing i have one ,i get disqualified or all of sudden it says technical difficulties. So i guess i just need to work more and quit wasting time with PUBLISHERS CLEARING HOUSE! Yes i still want to win 1,000 a day for life that is up for grabs i decree and declare the ownership and the rights to claim this award. I am searching to win a brand new Ford Explorer from pch. Valued at $34,670.00. I am searching to win $1,000 a day for life from pch, giveaway #11000. I hope to win the 1 million super price Plus the $1,000 a week for life on June 29th would be the greatest thing that happened to me in my life!! Please let me have a chance to win one of PCH prizes this June 29th. I would love to be the winner of $1,000,000.00 CASH plus $1,000.00 a week for life. Claiming my entry for $1 million plus $1,000.00 a week for life. Hello PCH please activate my entry . I would love to win this $1,000,000.00 plus $1,000.00 a week for life GWY no 11000 on June 29th . Thanks PCH. (1)ENTERING TO WIN $300,000.00 FOR PCH GWY NO. 11000. HEARS HOME I AM ON OF THE LUCKY ONE. HOPE YOU GET THIS IN TIME FOR THE DRAWING. Yes I want to claim my 2XENTRIES to win $25,000.00 Cash;Giveaway No.11475;And yes I will Love to win A $1,000.00 A Day For Life Sweepstakes.Then enter me to win it all;Giveaway No.11000;$1,000,000.00 Plus $1,000.00 A Week For Life,And A Brand New Ford Explorer($55,530.00) on June 29th.Thanks again PCH and Prize Partrol.God Bless.Yes I want to win and meet The Prize Partrol Team,in Fleming Island,Florida,at the McBride house on June 29th! (3)FINAL CHANCE: PCH SEARCH & WI $1,000,000.00, PLUS $1,000.00 A WEEK FOR LIFE TO WIN IT ALL. PCH SEARCH &STEP REQUIRED: PCHSEARCH&WIN:IN COMPLIANCE WITH YOUR MESSAGE. DON’T FORGET I’M IN IT TO WIN IT! CHANCE @2 -PCH SEARCH& WIN $1,000,000.00, PLUS $1,000.00 A WEEK FOR LIFE TO WIN IT ALL. Brand New Ford Explorer Platinum valued at $55,530.00, PCH GWY NO. 18000. THE ABOVE IS FOR A SUPER PRIZE THIS NEEDS GET ON THE LIST AS SOON AS POSSIBLE. I AM MAKING CLAIM TO THE ITEMS ABOVE. I want to win $1 Million plus $1,000.00 a week for life on June 29, 2018! Wow that’s a really nice price $1,000 a day I’m still working to be one of the potion Clearing House winners so I’ll keep playing! Entry for $500.00 a week for life. Thanks! Pch search and win I wanna win June 30,2018 $1 million dollars & $1 million dollars a week for life plus more prizes! A home makeover a ford explore platinum $55,530.00 and all the prizes that goes along with it thank you again Pchgwy for all you do for people. It means a lot to me thanks again for the blessing! PCH Search & Win Complete Deposit. please Accept my deposit of my prize. Number in my name onto the winner selection list from this notice I am fully eligible to win $500.00 a week for life from PCH Gwy 10025 on May 31st. My prize number is fully eligible to be selected as the winning number. thanks. Please enter me to Win $500.00 A Week For Life On May 31st from Gwy No. 10025! CLAIM ACTIVATION OF $500.00 WEEKLY FOR LIFE ON 5/31 PCH PRIZE. PCH I Can’t Wait To Win It All on May 31st. Yes I want to win Giveaway No.10025;$500.00 A Week For Life,May 31st.Yes I will Love to win the Exclusive Prize ,$1,000.00 A Day For Life;And YES also enter me again to win,Giveaway No.11000;$1,000,000.00 Plus $1,000.00 a week for life,and A Brand New Ford Explorer($55,530.00)Thanks again PCH and Prize Partrol.God Bless.Yes I want to win . YES! I would like to WIN the $500.00 A Week For Life on May 31st! PCH Gwy NO. : 11025. YES! I sure would like to WIN the $500.00 A Week For Life on May 31st! PCH Gwy No. : 10025. But first I need to COMPLETE THE FINAL: STEP for A Prize Number to a Prize Number to be fully eligibility to WIN on May 31 the $500.00 A Week For Life Plus the $50,000.00 CASH Prize PCH Gwy No. : 10074. I WANT TO CLAIM the Lifetime Prize opportunity through this notice. AND WIN all the way on May 31st! You are urged to enter now and complete this Final Step IMMEDIATELY! FINAL STEP REQUIRED – RESPOND NOW! R. Appel, per PCH Regulations, a Prize Number has to be entered for owner to become eligible to be selected the winner. By submitting the enclosed entry document, you will have taken the final step and be in COMPLETE COMPLIANCE with winner selection standards for the Appel Set For Life prize number to be issued to you from this notice. An official green seal has been issued for your use. You are urged to COMPLETE your Final Step immediately. Mr. Appel, please do not ignore this notice! As you see on the accompanying report, YOU ARE JUST ONE FINAL STEP AWAY from full eligibility with your forthcoming number to be selected the winner of $5OO.OO A Week For Life – our Set For Life Prize, guaranteed to be awarded on May 31st. Be advised the Prize Number selected, when we look for the winning number will have had to be timely entered by its owner in order to win $5OO.OO A Week For Life. APPEL’S FINAL ACTION REQUIREMENT: DECIDE NOW! All you have to do is make the choice to enter by the 5/24 (11:59PM, ET) deadline to complete all compliance requirements from this notice. And should your Prize Number be selected the winning number, PCH Officials will check to see if you submitted it as directed. Your decision will be irreversible. Yes!! !I really want this more then anyone know s i been going non-stop to win this, kind of money geez I know can use it. Lol certainly wouldn’t gone up coming this far..Im not about give up now. If all my dreams are answered. Give up opps after came this far. Never quit.